Well I thought I would give an update. It’s been about three weeks since I began intermittent fasting. So far I’ve lost about eight or 9 pounds. The weight-loss has been rather effortless. 2. To burn through my glycogen stores so that I will be burning fat sooner/longer. 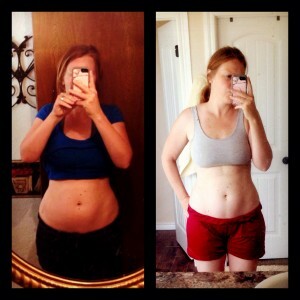 Wanna read my other posts on intermittent fasting for women/while breastfeeding? 4. Get a fun cup with a straw & drink ice cold water all the time and especially when you are feeling hungry. 5. Tea, coffee, repeat! Savor it. 7. Don’t deny yourself during eating times. You are really working the self-control/self-denial muscle during fasting times. Go ahead and give in to cravings during eating window within reason. One day, I had 3 cookies & half a pint of ice cream. I still lost weight that day. You won’t want that all the time or everyday. But if you do, it probably won’t hurt you. 8. Pay attention to healthy cravings. On that same note, if you are craving a veggie stir fry with coconut milk, couscous, and garbanzo beans -have THAT. Craving brocolli? Mangoes? Eat that. Fasting makes you much more in tune with what your body needs. 9. The power of later. If you are really wanting something at night pr when you wake up. Just tell yourself you will have it later. You’re not telling yourself no just “not now”. That is so powerful. 10. Weigh every day or every other day. The scale will probably be going down every day. This is very encouraging & really empowers you through fasts. If it stops going down, shorten your eating window until it starts again. Also, take before & after pics. They are really the best for measuring change. Can I just tell you how encouraging your website is for me? It is great. There is very little information about women fasting while nursing. In fact, everything says women should not fast while nursing and consume more. This is such a load of poo. Since I have started intermittently fasting I haven’t gained weight and I am slowly losing. I haven’t incorporated exercise into my regimen yet and I pretty much eat what I want. I have had plenty of milk for the baby. The only time I don’t have enough milk is when I don’t drink enough fluids throughout the day. What is the longest fast you have done while nursing? I have done a 24 hour fast for religious reasons, but baby was over 6 months old. So glad this is helping you. You are right about the info out there. Nursing was meant to be a system that takes off the weight that pregnancy put into storage (for nursing). Why would pregnancy do that if we weren’t meant to eat normal to less?